In the video clip below Schellas Hyndman, current Men’s Soccer Head Coach at Grand Canyon University, instructs players on an Introduction to his Coaching the 3rd Defender demonstration. Coach Hyndman, who has over 30 years of experience, has excelled at both the collegiate (Eastern Illinois, SMU) and professional (FC Dallas) levels. This drill is set up with two teams of three players in the grid with three small goals on each end. There is a third team of three players that is off the field and rotates in during the drill. The two teams on the field play 3 v 3 with each team attacking their offensive goals. The objective of the game is for each team to defend their three goals and not get scored on. If they can attack and score a goal, that is great, but the focus is on defending together and not giving up a goal. Once the ball goes out of bounds or the defensive team wins the ball back, the third team comes on the field and the offensive team goes off. This rotation keeps two teams on the field and allows a third team to be involved. There are important defensive coaching points to make during this drill. First, the three defensive players need to be organized and understand their roles as the 1st, 2nd, and 3rd defender. The first defender must pressure the ball and force in one direction. The second defender needs to be providing support for the first defender and the third defender should be providing cover for both the 1st and 2nd defenders. In order to be effective defensively, this organization must happen with lots of communication. Make sure players are over-communicating until they get use to the drill and that they understand how one breakdown can affect the whole team or group by a goal that is given up. Coach Hyndaman’s drill was part of his presentation at a recent Glazier Soccer Clinic. 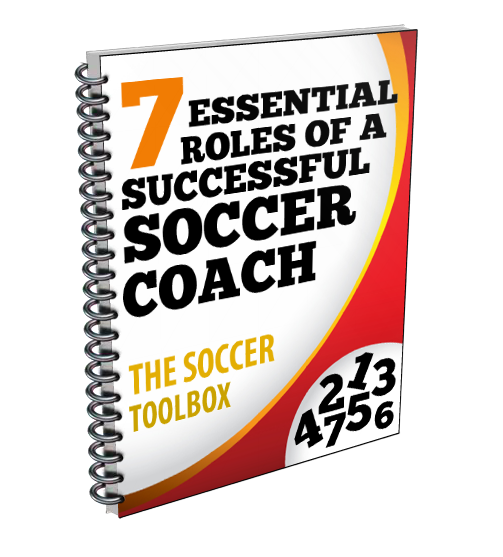 For more information about how to gain access to his entire presentation, as well as hundreds of other clinic presentations, click the link Glazier Soccer Clinic.